Click the button below to add the Psoriasis Soften Hair Conditioner #Psoriasis Conditioner# to your wish list. Our conditioner is crafted with your scalp condition in mind. Whether you have psoriasis, eczema or other scalp concerns this conditioner is made to cleanse your hair and scalp with wonderful ingredients gently. Loaded with vitamins and minerals, it supports natural hair growth and scalp care. This stuff is awesome. I have a sensitive scalp, and I've tried many shampoos and conditioners, and some made the issue worse. This does the trick it made my hair feel super silky and soft! Scalp feels better. I would highly recommend to a friend. I itched terribly and hurt sometimes. I felt the difference after the first use with this amazing conditioner. It’s been about a month and better ever since. It's great! This really has improved my scalp psoriasis. My scalp and hair feel clean, fresh and leaves hair soft. Pleasant smell too. Made fresh in the USA. Gentle enough for daily use. Free of harsh detergents like Sodium Lauryl Sulfate, Sodium Laureth Sulfate, parabens, artificial colors or fragrances. Nature’s best ingredients provide nutrients with vitamins that deliver rich nutrients to your scalp and hair. Comfrey roots and leaves are said to provide nutritive healing properties for all different types of ailments because of its high allantoin levels, along with other substances that reduce inflammation and keep skin healthy. Avocado oil is one of the few oils that known to have the ability to penetrate hair strands. Karanja oil has been used widely in India for a variety of ailments and is used in Ayurvedic medicine. 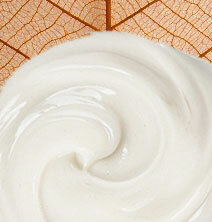 Licorice Root extract can help soothe and calm skin. 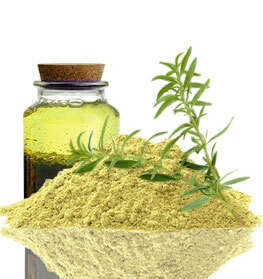 Neem has been used as a medicinal herb for nearly 5,000 years. Grown throughout India, the Neem tree is well known for its antibacterial properties. From the Amazon, Andiroba oil is well known in Brazil and is used to improve skin conditions. Andiroba oil helps restore balance and allows your skin to heal itself. Manuka oil and its folk traditional medicinal uses have been known for a long time by the Maori, the original inhabitants of New Zealand. After rinsing shampoo, apply the Soften Hair Conditioner and evenly distribute. • Make this product into a pre-poo. You can mix this conditioner with your favorite oils and apply it to your hair before shampooing. My first use of this conditioner amazed me! I’ ve never used a nutritive one that spread so easily throughout my thick hair! My hair feels amazing! I bought this shampoo and conditioner for my daughter’s scalp problem, and after her first use, her scalp was white again from almost red, and there were less than half the flakes we are used to seeing lately on a daily basis. I am so impressed with the quality of your products. I have inflamed skin on my scalp and have used the prescription-strength treatments. This conditioner is a great non- prescription alternative! It smells good too! During the winter months my scalp gets extra dry and flaky. This conditioner has taken care of most of the problems. It left my hair clean and not dried- out and my scalp not itchy. I would buy this product again and recommend it A+++. This is the first shampoo and conditioner that has ever worked to stop my scalp problems. At first I was really skeptic because every brand claims to work. I've tried lots of shampoos and conditioners and medicated brands without success. It doesn't burn and smells really good. It's a little pricey, but it's definitely worth the cost. I LOVE IT !!!! This is a very good product. a bit on the expensive side, but couldn't find anything else that works as well and finally a conditioner just for inflamed skin! One of the best products there is, whether your scalp situation is mild or severe. It costs a lot but it's effective. And it doesn't smell the best but that's nothing compared to how well this conditioner an nutritive shampoo works. For years I have suffered with severe scalp problems; itching, flaking, scales, bleeding, etc. It was uncomfortable, gross and embarrassing. I tried all of the usual shampoos as well as many nutritive products and tricks. Nothing worked for me until this. After using the shampoo with this conditioner and I noticed the difference and my scalp was 70% normal after 4 weeks. I highly recommend you try this shampoo. This conditioner is the only one I can use. All others irritate my skin. This is so soothing to the scalp!! My first use of this conditioner amazed me! I’ ve never used a nutritive one that spread so easily throughout my thick hair! My hair feels amazing! I bought the Psoriasis shampoo and conditioner for my daughter’s scalp problem, and after her first use, her scalp was white again from almost red, and there were less than half the flakes we are used to seeing lately on a daily basis. I am so impressed with the quality of your products. I have psoriasis on my scalp and have used the prescription-strength treatments. This conditioner is a great non- prescription alternative! It smells good too! During the winter months my scalp gets extra dry and flaky. This conditioner has taken care of most of the problems. It left my hair clean and not dried- out and my scalp not itchy. I would buy this product again and recommend it. I have Psoriasis and most shampoo and creme rinse productts leave my hair frizzy and dry. I love the feel of my hair after using this product. It doesn't have a strong fragrance which is nice too. Bought for psoriasis of scalp after using prescription oils on scalp. Prescription oils take hours to use (minimum of 4 hours) and have to be repeated multiple times a week. With this conditioner and the shampoo, I just wash my hair daily like normal and have no problems with the psoriasis.